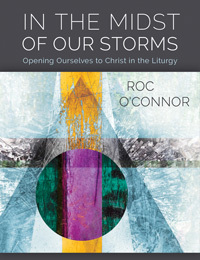 The Introduction lays out my vision of what I want to share about liturgical participation. “Liturgy is theology in the form of prayer.” Not only does liturgy make credal statements, it also establishes a theological world, a web of relationships, into which we enter at liturgy. I explore this theological world so as to foster deeper relationships with worshipers who have lived long enough to know loss, disappointment, and disillusionment. In the video, I lay out a few questions that point us in that direction and then conclude with a final question: Are we worshipers really present to the Real Presence? This question summarizes nicely my project, to cultivate deeper presence in worshipers so we might encounter the Risen Christ more profoundly.